The TAJIMA Sumo embroidery machine has all the great features of the TAJIMA EVO embroidery machine. The main difference is the super wide embroidery area which can provide for all your large embroidery needs. This will help when embroidering garments such as oversized jackets, Horse blankets, table cloths, curtains, bed spreads and many more. Only one word can properly describe the Tajima Sumo Embroidery Machine…. JUMBO! 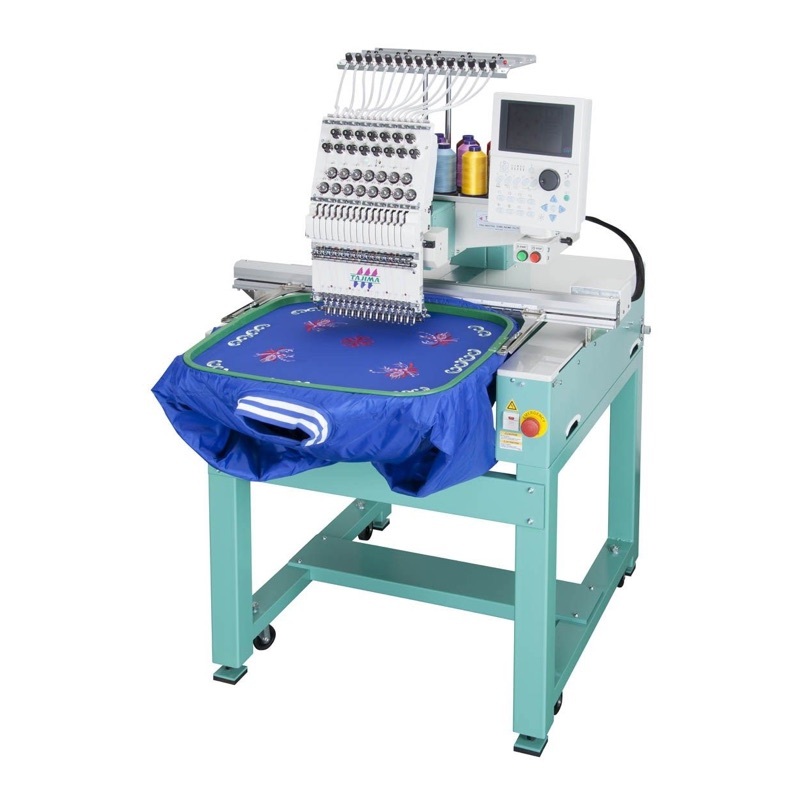 This outstanding embroidery machine has been designed from the ground up to provide large field, single hooping embroidery with the legendary Tajima quality known around the world. The full color 6.5″ LCD screen shows the design and location of the needle at any point in the sewing process. Standard machine memory is 2,000,000 stitches and up to 200 designs can be saved. USB or LAN can be used for seamless data transfer. Breaking the boundaries of traditional embroidery machine fields gives you a competitive advantage over your competition. 15 Needles means more colours to unleash creativity. It also means a larger base of standard thread colours which significantly reduces time spent changing thread cones at the machine. Spiral thread tubes prevent the strands of thread from getting tangled along the travel path from the cone to the needle. Imagine taking the enormous sewing field of the SUMO and combining it with laser technology. The Seit SHL5 Option adds laser cutting directly to the embroidery machine. Decorate with Applique, Reverse Applique and more by adding the Seit SHL 5 Option.